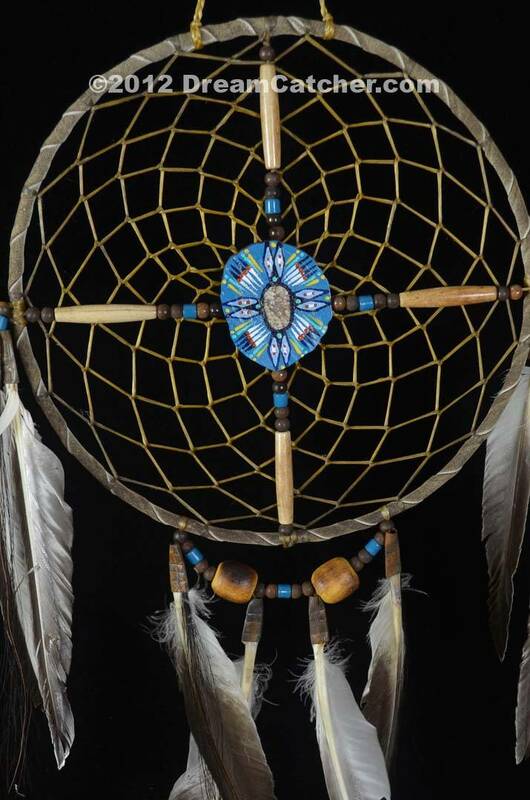 The Spirit Wheel is a combination of the Dreamcatcher and the Medicine Wheel. The wheel is round to simulate the cycle of life. Dreams get caught in the webbing and legend has it that the good dreams and spirits find their way to the center hole to be set free to return another night. The center hole represents the point of creation from which all is created. This unique piece comes with a certificate of Authenticity as well as a photo of the Navajo Artist who made it. The beads are both bone and wood and the center is a hand painted sliver of antler. The painting in the center will vary slightly from piece to piece. We only have 10 of these available and we do not know if we will be getting any more once these are gone.